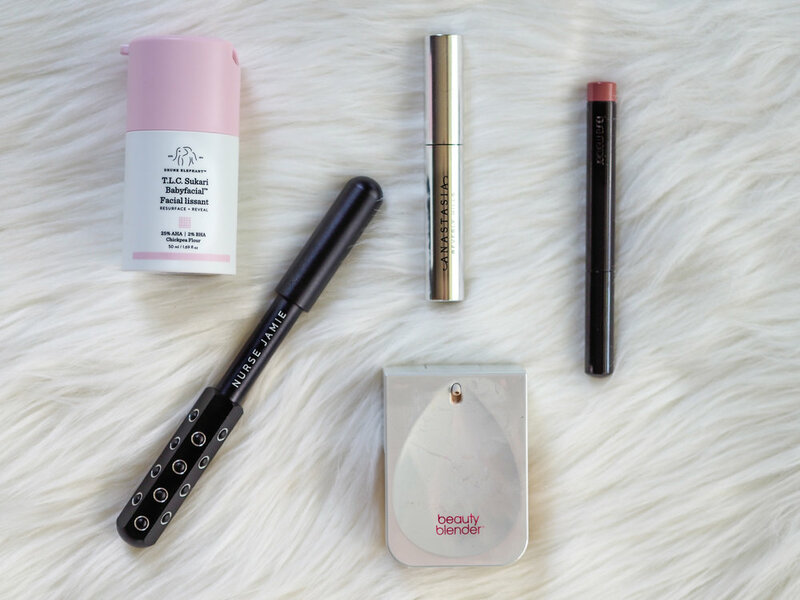 It’s that time of the year when a new season is upon us, which means my makeup bag is itching for new products, new formulas, and new colors. Luckily, that itch has been scratched thanks to a few Sephora orders during the recent 20% off sale, and while I haven’t finished testing everything out yet, I have made quite a few fabulous discoveries that if your makeup bag is also looking for a bit of a fall makeover, I think you’ll want to add a few of these items to your next order. Drunk Elephant T.L.C. Sukari Babyfacial: I’ve heard so much buzz about this product and decided to take the plunge while I could get it on sale. This once-a-week facial has AHA/BHA and a whole host of other acids that help exfoliate the face. Let me warn you: This product is not for the faint of heart. It stings and tingles for the majority of the time it’s on my face for the prescribed 20 minutes, so if you have ultra sensitive skin or don’t like the tingling sensation, steer clear. However, if you’re looking for a non-physical exfoliator that gets your skin into gear and after a few weeks cuts down on texture and oiliness, this treatment is a must-try. I think it’s well worth its hefty price tag (and a little goes a long way). Anastasia Brow Gel: This is by no means a new discovery for me but more of a rediscovery. I used to use this brow gel quite a few years ago but abandoned it in favor of cheaper drugstore alternatives. Lately, though, I haven’t been satisfied with my drugstore options, so I re-ordered this old staple. I was reminded of just how good it is; it locks my brows into place all day without adding bulk and without making my brows feel crispy. It was good to be reminded of what a key product this is in my everyday routine. Laura Mercier Velour Extreme Matte Lipstick in “Vibe”: I don’t utilize my lipsticks in pencil form enough, so when I purchased this one in the ultimate “your lips but better” shade, I made sure I kept it in my work bag so I’d be reminded to use it more often. 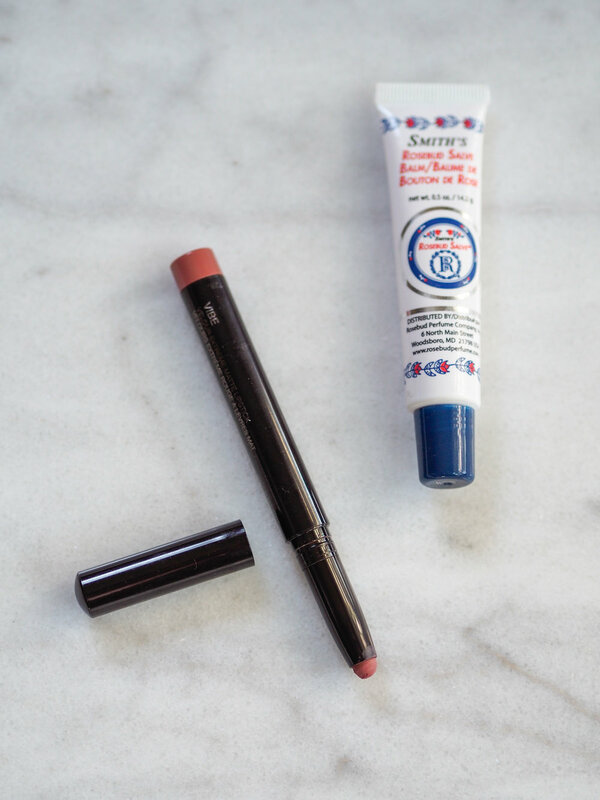 It’s a beautiful formula; depending on how much water I’ve consumed recently, I find it’s sometimes a bit drying so I have to use lip balm before applying it. I find the formula lasts about four hours before I need to reapply, but it wears off beautifully and evenly. I’m dying to try another shade! BeautyBlender Bounce Liquid Whip Long Wear Foundation: I think I found my perfect foundation. I posted a first impression of it under the beauty highlights on Instagram, but I’ve worn it almost every day since then and have realized just how good the formula really is. When I pair it with a lighter setting powder, it looks so skin-like for 12+ hours. 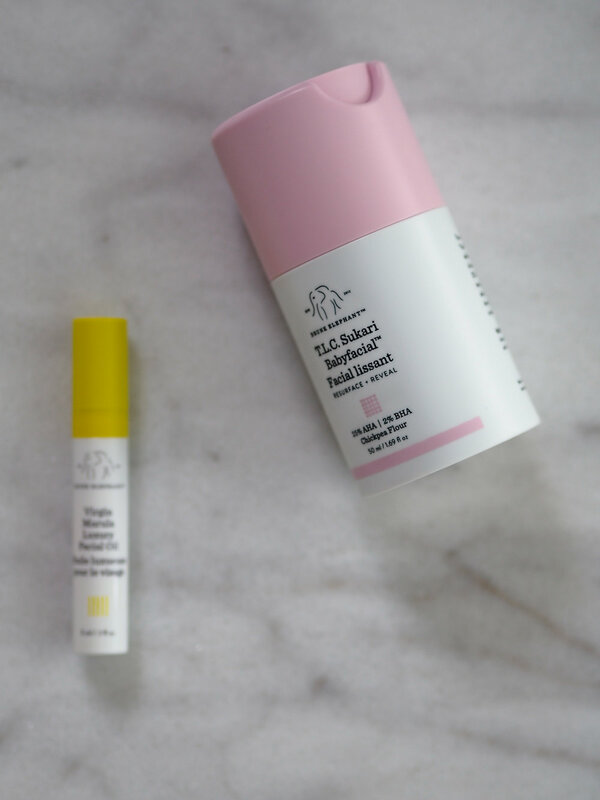 The lightest shade is perfect for my skin tone, and I love the ingenuity of how the product is dispensed. 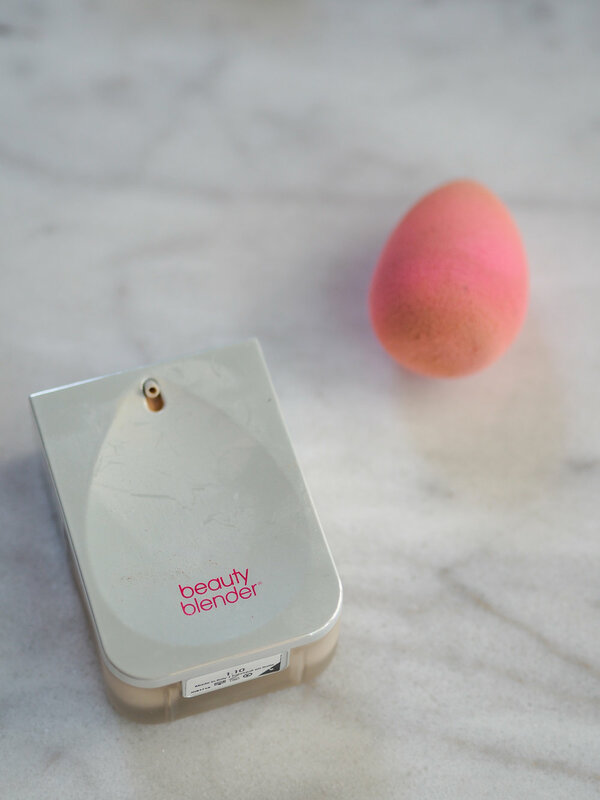 My BeautyBlender sponge has been getting quite the workout since I tried out this foundation. 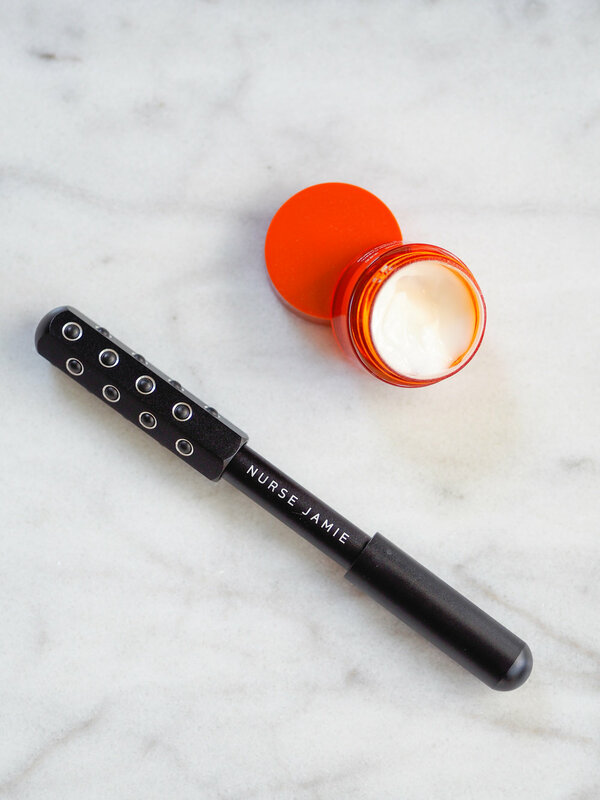 Nurse Jamie Uplift Massaging Beauty Roller: After hearing Tati of GlamLifeGuru rave about this roller for months, I finally took the plunge and purchased it. It was a lot heavier than I imagined (probably thanks to the 24 stones it holds on the massaging end), and I really didn’t know what to expect. I can’t say I’ve seen amazing firming results since I started using this, but I’m hopeful that with a few months of continued used, I’ll begin to see some serious results. I can say, though, that my skin feels better after I use this in the mornings, and my under-eye puffiness is cut down significantly when I use it. What beauty discoveries (or rediscoveries) have you made recently?